Attempted Happiness: Donate to Mau, Get it Free! I’ve been overwhelmed by the support my friends and their friends have expressed for Mau, the cat of “Secret Chicken”, since I posted about him and his surgery. I donated $25 (yea, I know, big spender, right?) and now I’m going to give away Smashwords Coupon Codes to donors, for the story “Attempted Happiness”, to anyone who donates $1 or more. Donate $1 and get it for free! Something is bothering William “Billy” Redman lately. It’s his roommate, Daniel “Danny” Finch. For some reason Danny is getting in his way, making his life miserable – at least, that’s what his best and only friend keeps telling him. He’s not sure why Danny gets on his nerves so badly, but his best friend Edgar Munchkin insists that life would be much better if he’d just get rid of Danny. He also says that he absolutely hates the name “Munchkin”. What kind of name is “Munchkin?” And should Billy really be taking advice from his cat? 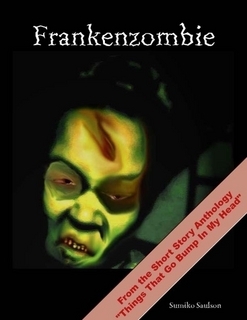 Get this book for FREE with a donation, AND, now, get Frankenzombie too! Price: $0.99 USD. 3060 words. Published on July 29, 2012. Fiction. Joel McArthur is having dinner with his lovely wife, Dr. Lauren McArthur one night after work, discussing his graphic design work a book called “Frankenzombie” and bitching about his boss Terry while Lauren pretty much ignores him. For her part, Lauren’s hand is starting to itch. In fact, it itches right underneath the band-aid, where the lab rat bit her earlier. Hmmmm… wonder if there could be some kind of connection? Witness above.. the Mau Meter, which documents the fundraising progress for Mau. If you haven’t read the links above, here is a recap of Mau’s story. He was injured prior to his adoption 7 years ago. This 8 year old male tuxedo domestic short hair has his forever home, and he has healed from the (possibly intentional) injury to his back, but it has caused permanent partial loss of control of his rear legs. Recently, his human learned that he had developed an impacted bowel. He needed emergency surgery, and she went into debt to pay for it for him. This fundraiser is to raise money to help her get out of debt incurred by the surgery. Even a small donation would help. I’m told Mau is a nice cat who would never order you to execute your roommate or plot against you. Yea, I am starting to wonder if a tin cup wouldn’t be faster. But.. uhm… I only have plastic and ceramic ones. Sumiko’s a very talented writer, btw. Your dollar will be multitasking! Thank you Serena! 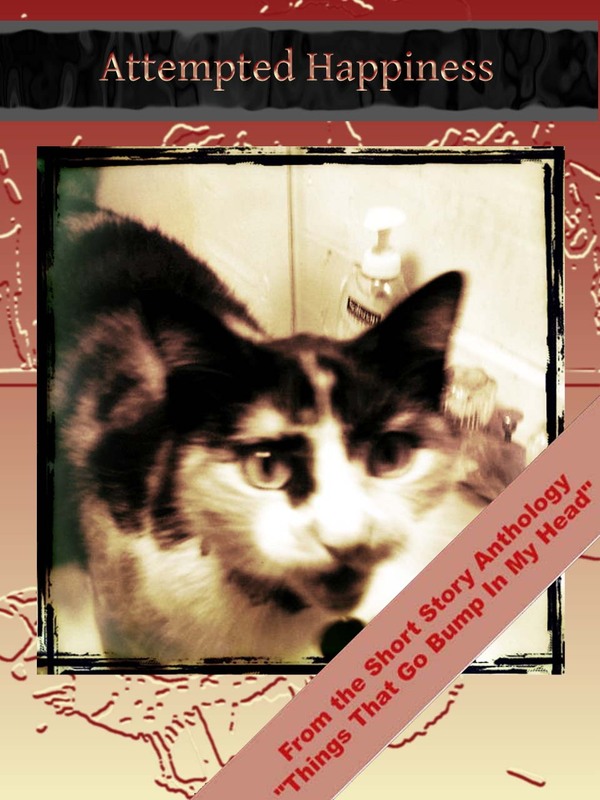 Well, I updated the offer to two eStories, so hopefully that’ll be the greater enticement.